The Targus 15.6” Classic Slim Briefcase is a thin, lightweight case equipped to store all of your essentials on the go. Ideal for the casual business executive, this functional case features a classic look with red accents. The spacious front pocket includes smartly organized compartments to store your smartphone, pens, business cards, adapters, cords, and other accessories. 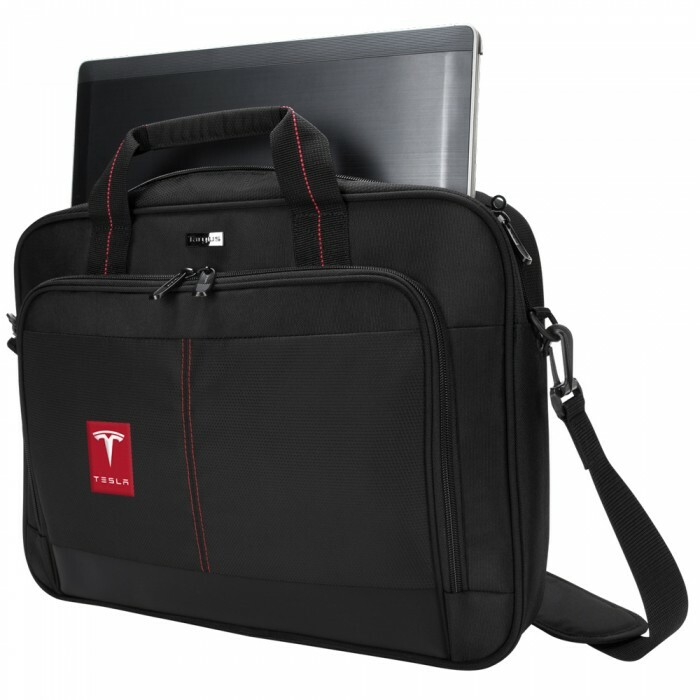 Constructed of durable polyester material, the case includes metal, contoured zipper pulls, and comfortable padded handles and shoulder strap. 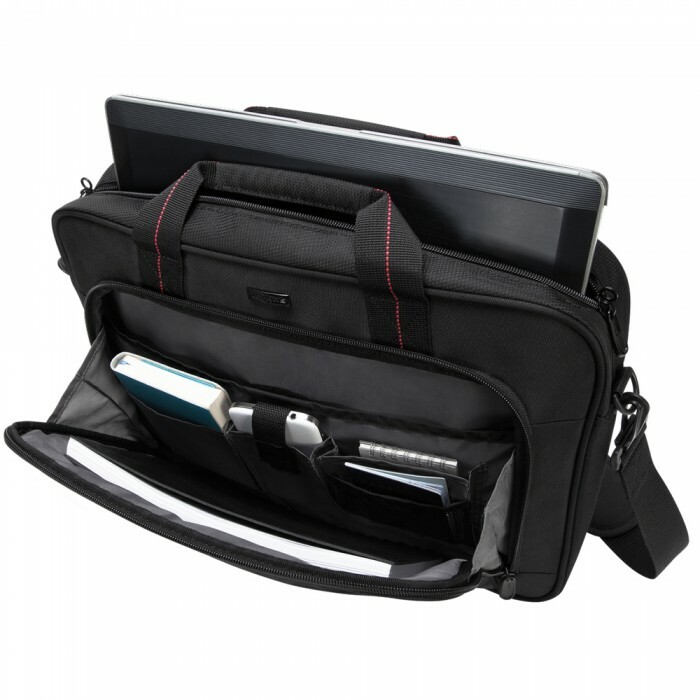 The large back slip pocket is great for storing files and documents while the included trolley strap makes it easy to stack this case onto rolling luggage. 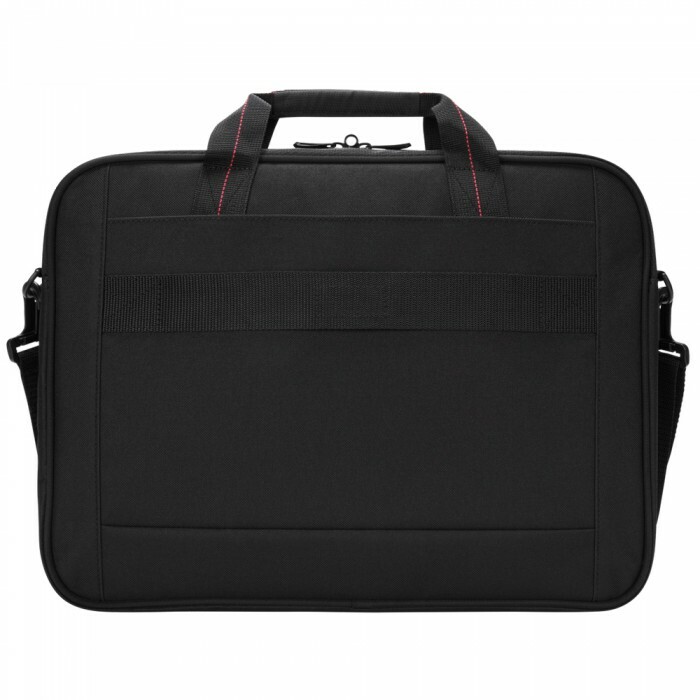 The Targus 16” Classic Topload is a thin, lightweight case equipped to store all of your essentials on-the-go. The padded laptop compartment is designed to accommodate laptops with up to 16” screens. 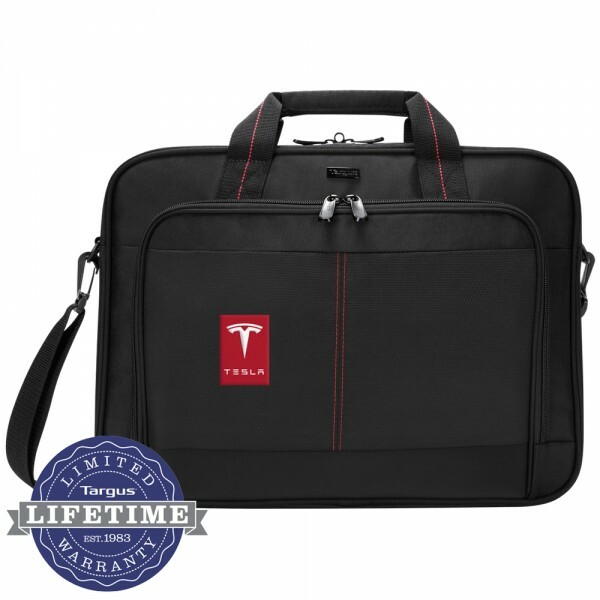 Ideal for the casual business executive, this lightweight and functional case features a classic look with red accents. 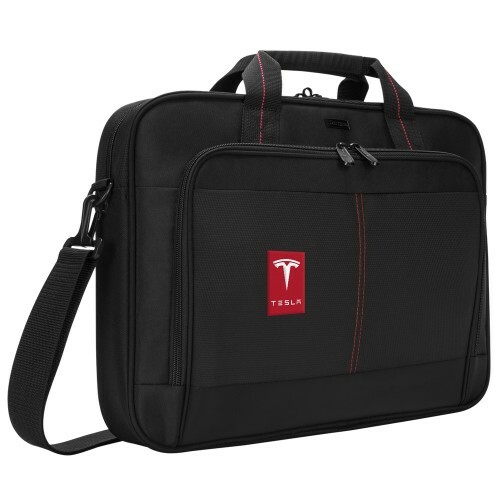 The spacious front pocket includes smartly-organized compartments to store your mobile phone, pens, business cards, adapters, cords and other midsized accessory items. The large back slip pocket is good for storing files and documents while the included trolley strap makes it easy to stack this case onto rolling luggage. 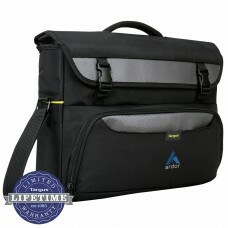 Constructed of durable polyester material, the case includes metal, contoured zipper pulls and comfortable, padded handles and shoulder strap. This case also includes a convenient trolley strap to stack case on rolling luggage for easy travel. Slim design for the style-conscious minimalist who likes to travel light with only the essentials. Size: 16 3/4W" x 12 3/4H" x 3 1/4D"
Carton/Dimensions: 18L" x 12W" x 14H"